Wright’s gardenia blooms once again. 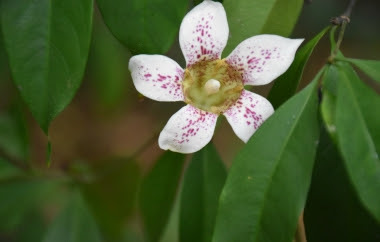 This critically endangered species, endemic to Seychelles, is known to naturally occur only on Aride Island, the northernmost granitic island in the archipelagic nation. But, thanks to the extensive habitat restoration efforts that have been underway on Félicité Island, this rare and beautiful flower has regained lost territory and is now thriving at Six Senses Zil Pasyon. 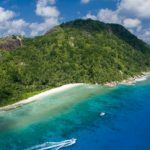 The results of 10 years of habitat restoration and reforestation work at Six Senses Zil Pasyon in Seychelles have taken root. A dedicated team has been in place since 2008, working to restore the island’s ecology to a natural state that supports local flora and fauna. Colonization in the island’s history brought invasive plant species that disrupted the natural balance and pushed out local wildlife. Painstaking efforts to uproot and eradicate those invasive plants are now allowing the true natural beauty of this island to flourish. The blooming of Wright’s gardenia on Félicité is an accomplishment for both the island and conservationists worldwide, as up until now, the plant had been restricted to the single population on Aride Island, and this limited range makes the species particularly vulnerable to extinction. The flowering season of Wright’s gardenia extends from October to May, throughout the growing season. While the beautiful flowers endure only a few days once each bud bursts open, they produce a strong and captivating scent, a natural perfume, during their time in bloom. During this period, guests can admire the flowers close at hand. Of the species planted in this extensive reforestation effort, 12 are considered Vulnerable, four Endangered, and three are Critically Endangered according to IUCN’s Red List of Endangered Species. Eventually the reintroduction of once-endemic bird species to the island will take place which will encourage the local flora and fauna to flourish as it once did, allowing Six Senses Zil Pasyon to truly be an environmental jewel of the Seychelles.